Situated in a rural location, this luxury hotel is within 1 mi (2 km) of Kurpark and Burg Zavelstein. Silberbergwerk Neubulach and Baumwipfelpfad Schwarzwald are also within 20 mi (32 km). Situated in Bad Teinach-Zavelstein, this inn is steps from Dreifaltigkeitskirche Church, Kurpark, and Therme Bad Teinach. Situated in a rural location, this property is within 3 mi (5 km) of Dreifaltigkeitskirche Church, Therme Bad Teinach, and Kurpark. Burg Zavelstein is 2.8 mi (4.5 km) away. 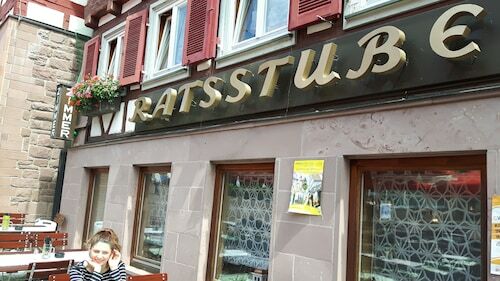 Located in the heart of Calw, this apartment building is within a 10-minute walk of Hermann-Hesse-Museum and Kinostar Theater. Kloster Hirsau is 1.9 mi (3.1 km) away. Calw Station is only a 1-minute walk. 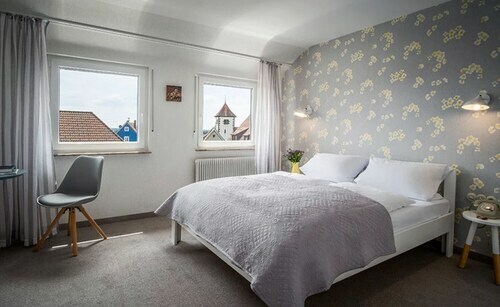 Situated in Calw, this hotel is within a 10-minute walk of Hermann-Hesse-Museum and Kinostar Theater. Kloster Hirsau is 1.9 mi (3 km) away. Calw Station is only a 3-minute walk. 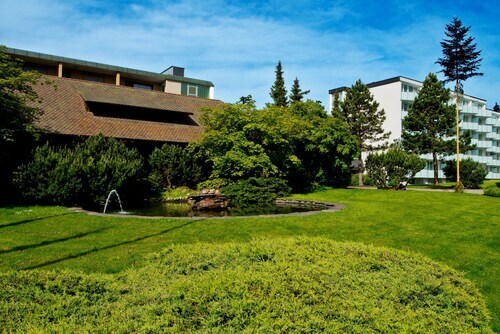 Situated in Neuweiler, this spa hotel is within 6 mi (10 km) of Therme Bad Teinach, Dreifaltigkeitskirche Church, and Kurpark. Silberbergwerk Neubulach and Burg Zavelstein are also within 9 mi (15 km). 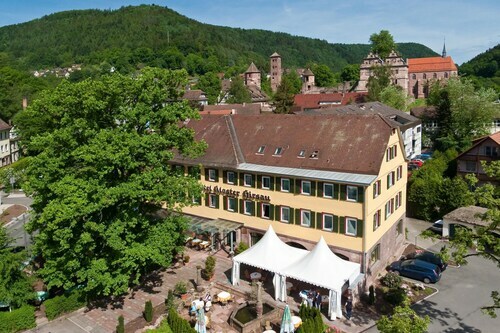 Situated in Calw, this spa hotel is within 2 mi (3 km) of Kloster Hirsau, Kinostar Theater, and Hermann-Hesse-Museum. Bad Liebenzell Spa Park and Paracelsus-Therme Bad Liebenzell are also within 3 mi (5 km). Calw Hirsau Station is 8 minutes by foot. Situated in Neuweiler, this property is within 6 mi (10 km) of Therme Bad Teinach, Dreifaltigkeitskirche Church, and Kurpark. Silberbergwerk Neubulach and Burg Zavelstein are also within 9 mi (15 km). Situated in Altensteig, this spa hotel is within 9 mi (15 km) of Altensteiger Schloss, Silberbergwerk Neubulach, and Dreifaltigkeitskirche Church. Kurpark and Therme Bad Teinach are also within 12 mi (20 km). Knowing about the past gives us a deeper understanding of the present, so a visit to Burg Zavelstein is certainly a worthy experience. You will find it in Bad Teinach-Zavelstein, roughly 130 miles (209 kilometers) outside of the national capital, Bern. Within 6 miles (10 kilometers) of Burg Zavelstein, there are a total of 7 hotels eager to welcome you. The DEKRA Congresshotel Wart and Aparthotel Hochwald are two places you might want to consider. The Hermann's Neue Post is an obvious choice for those on the hunt for a budget-friendly solution. Given that it's a mere 3 miles (5 kilometers) away, you won't have to go far. There's just a smattering of hotels within easy driving distance, so ensure you book ahead. If you were hunting for someplace indulgent, look up the Hotel Kloster Hirsau, just 4 miles (6 kilometers) away. Experience some time out with a cup of coffee and savor some flavorsome snacks at Hotel Berlins Kronelamm (Marktplatz 2-3, Bad Teinach-Zavelstein). The fact that it's 0.1 miles (0.2 kilometers) from Burg Zavelstein means it’s easy to reach when you're done for the day. As the sun starts to drop below the horizon, you'll no doubt start to crave some dinner. 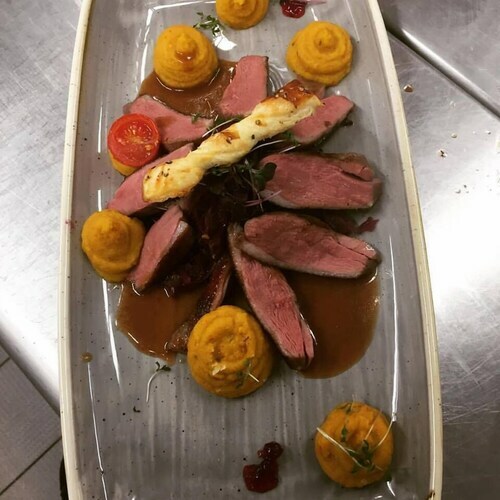 If you don't want to stray too far afield, Restaurant Berlins Krone (Bahnhofstraße, Bad Teinach-Zavelstein) is the perfected choice. Consider visiting Dreifaltigkeitskirche Church, a peaceful place of worship and a local attraction. Imagine what life was like for history's nobility as you tour Castle Waldeck, a local historic castle. Feel like you've traveled back in time with a stop at Georgenaum, a historically important structure. Enjoy a visit to Evangelic St. Peter und Paul church and become acquainted with the spiritual side of this place. Arrange to see Silberbergwerk Neubulach, a historic mine. How Much is a Hotel Room in Burg Zavelstein? Hotels in Burg Zavelstein start at $68 per night. Prices and availability subject to change. Additional terms may apply.